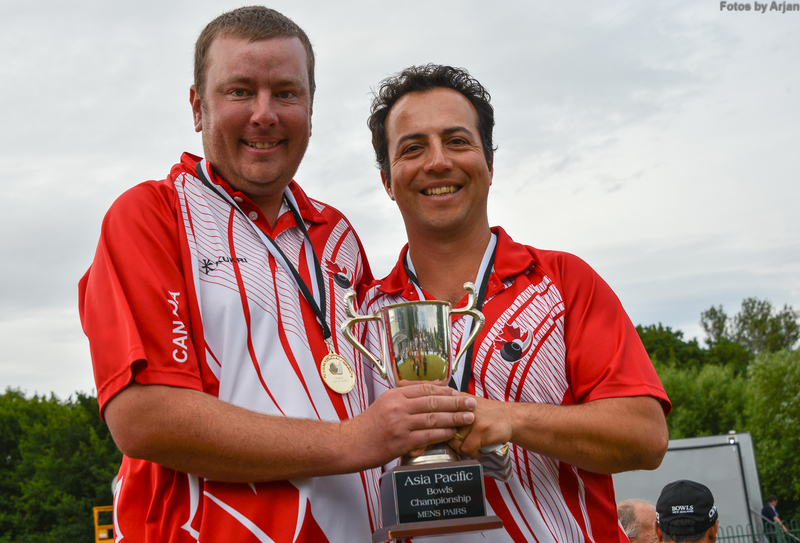 It has been quite a roller coaster the last few months and what a great way to finish the 2015 Season with an Asia Pacific Men’s Pairs Gold Medal for Canada with long time Bowls Friend Ryan Bester. My first gold medal internationally and will cherish the experience for a lifetime. I would like to first thank my dad, German Santana, for you are and always will be my number one supporter, best friend and coach (even though I taught you how to play haha). You always pushed me to practice and become better. I know you were with me in New Zealand telling me when you down to be up! To my wife Shannon Santana, with all her support and love, allows me to follow my passion. I am lucky to have you in my life. To Craig Wilson, our coach, as without his dedication to junior bowls and development, we may have never stayed with the game. What a role model he is and still rolling great in the game. To Ted Waterston and Bob Gardener – Great BC skips in the game of bowls – they taught me a lot about the game and had a lot of fun playing with them. “Bread and Butter Bowls” ~ Ted Waterston. To my family and friends for their support during all my travels and especially during the last few months. You helped all our family get through this time and enable me to pursue my passion knowing my father would have wanted me to play. To Bowls BC, Sport BC – Now ViaSport, for all their support to Junior Bowls. Lets keep it rolling, you guys are doing an amazing job and it’s great to see the recent push in Juniors and support for them. 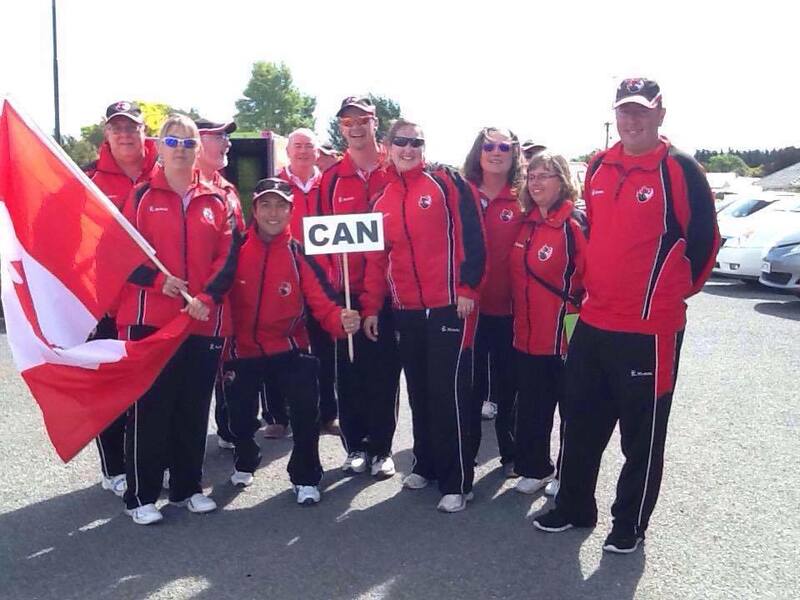 To Bowls Canada for all the opportunities over my playing career to date. Cheers to more gold medals and we can WIN training and playing in Canada – we believe and are passionate to win. To the Oak Bay and Burnside Bowls Clubs where I first started and now the Vancouver South and West Vancouver Bowls Clubs. Amazing clubs and great to have support from the bowls family. To Derek Kaufman, Adam, Kaufman, Aaron Almeida, Ryan Pollard – the boys – winning tournaments together at a young age! To Tim Mason and Geoff Pershick – #1 and #2 – for all the good times we have had together and to many more to come – all of us. If anyone would like to reach out to me about my experiences and would like to train together as we move forward, please don’t be shy. I am happy to share what I have learned over the years and love for all of us to succeed together!